Chad Skelton: What do we mean when we talk about Vancouver's housing "crisis?" 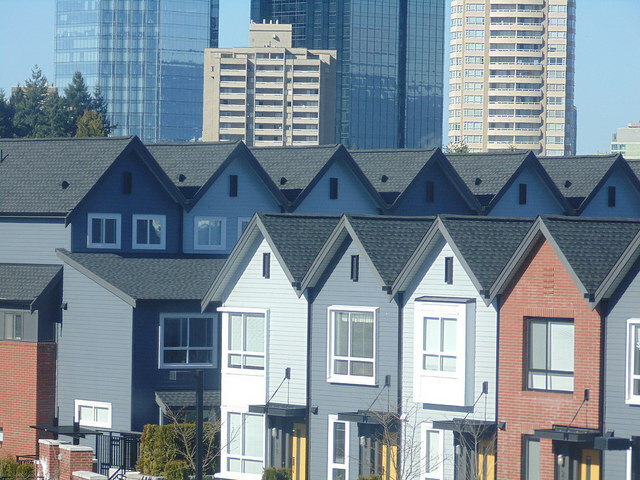 What do we mean when we talk about Vancouver's housing "crisis?" I'm trying to follow my own advice to jot down ideas on my blog and not just in tweetstorms. Below is the full text of a tweet thread of mine on Vancouver's housing crisis. You see evidence of this in news coverage. Vancouver homes have been unaffordable for most families since the early 2000s, if not before. But it became a “crisis” when well-paid professionals (like newspaper columnists) got priced out. I don’t think that’s a coincidence. You see it in the stories people tell. “When my doctor friend moved here from Alberta, he could only afford a place in New West!” “My cousin has an MBA and lives in a condo!” The “crisis”, for many, is that well-off professionals can’t have the lifestyle they feel entitled to. Expensive housing hurts everyone who isn't already an owner. But not all hardship is morally equivalent. Someone who has to commute 2hrs to their minimum wage job, or a single mom living with 3 kids in a basement suite, is *worse off* than a lawyer who can only afford a townhome. Cracking down on foreign and speculative demand might soften the market enough to make it easier for well-off professionals to buy a house. But it probably won’t do much to bring up vacancy rates. And an $800k house isn’t any more “affordable” for most families than a $1.6m one. Similarly, more rental-only zoning and purpose-built rental in single-family neighborhoods should bring down rents and allow renters to live closer to work. But it may not have much immediate impact on the price of detached homes. What do you mean when you talk about the housing “crisis”? What problem are you most trying to solve? What group of people are you most trying to help? My take: It’s nice to own your own home. And if we can make that easier for middle-class families, great. But it’s far more important that everyone has a secure, affordable roof over their head. And more rental is a big part of the solution to that problem. Luckily, we don’t have to choose. We can do it all: Crack down on foreign/speculative demand (ie @HousingBC), allow more density in single-family neighbourhoods AND build more purpose-built rental. However, doing just one likely won’t help everyone.